tilden talks...: Dude - Facebook Published Your Phone Number! Dude - Facebook Published Your Phone Number! Your phone number may be accessible through Facebook. Login to Facebook. Go to the top right of your screen, clickAccount then click Edit Friends. This news came to my attention in a message posted by Quilly. 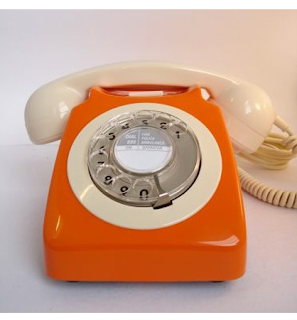 Check out some fabulous vintage phones at Sweet Bella. Thom says this is old news, but I still saw the phone numbers of a LOT of people I know. I left my home phone up for friends only because it is listed anyway. Yeah all of my facebook settings are set so no one but my "friends" can see stuff like that anyway. So, I dont care. it was under the info tab before. also your work history if you entered that also. so it isnt anything new just news people trying to get people to come to their websites. I Think Mum Will Like This! Web Hosting Hub Reviews - Save Time and Hassle! Address Plaques - Location, Location, Location!